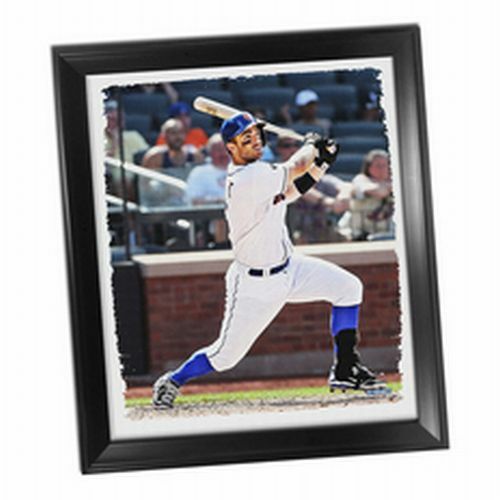 This Beautifully Framed Breathtaking Stretched Canvas of David Wright is the perfect way to take your man cave to the next level. This piece is hand-created exclusively at Steiner Sports' Headquarters in New Rochelle, NY, and is professionally printed on an extremely high quality 20-mil thick mid-gloss canvas. The canvas will arrive pre-stretched and ready to hang on your wall in a one-of-a-kind display where the canvas itself is 'floating.' This is a must have for any true sports collector who is looking for a classier alternative for their home.